We say we love our kids no matter what, but accepting your children for who they are can turn out to be a struggle. Learn how to love your child unconditionally. When we were pregnant, we may have imagined what our kids would be like. Maybe we thought she’d be the little showman. The three-year-old who’d charm friends and family with her humor and wit. Or we thought she’d be the next child prodigy who could solve puzzles in record time. Or we looked forward to long hours of sweet slumber as we hold a calm baby in our arms. Instead, we got the opposite. The little showman we expected is introverted and shies away from relatives and friends. The child prodigy, we realize, is rare for a reason. And the calm baby? She’s instead a colicky one who cries all night. This isn’t what we imagined. And the difference between expectation and reality doesn’t match our perceptions of parenthood. We want to enjoy being a parent, but we find it hard when what we imagined is so different from what we have. That’s the trouble with family. Our friends, our partners—these are folks we choose. We decided we got along with friends and parted ways with those you didn’t. We chose to spend our lives with our partners for many reasons. But we don’t choose our family, particularly our kids. Whereas our personality works well with our partners and friends, our kids seems so different. The hobbies we’d hoped to pass on don’t seem to interest them. Accepting children for who they are means absolving our earlier expectations and hopes. 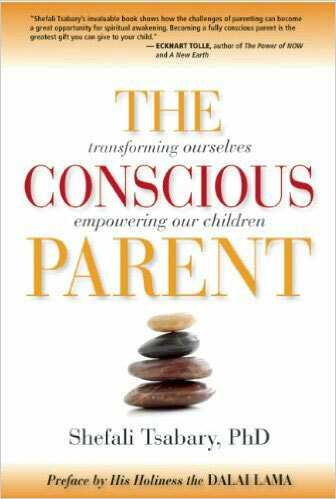 I’m reading The Conscious Parent by Shefali Tsabary, and it talks about accepting children as a way of showing unconditional love. practicing love no matter what. not withholding love because of certain conditions. honoring our kids and loving them for the fact that they’re born and in our lives. They don’t need to prove anything to us to get that affection. They don’t need to be any type of person, or even behave well to deserve our love. And they don’t need to live up to our expectations. Instead, their presence and being is all they need. When you attune yourself to your child’s uniqueness, you realize it’s futile to try to parent with a cookie-cutter approach. Instead, each child requires something different from you. Some children need a parent to be soft and gentle, whereas others need the parent to be more assertive—even “in their face.” Once you accept your children’s basic nature, you can contour your style to meet their temperament. To do so means letting go of your fantasies of yourself as a certain kind of parent and instead evolving into the parent you need to be for the particular child in front of you. When kids feel like they belong to your family unit, they’ll be less likely to find this elsewhere. They’ll trust your advice above others. They’ll pursue their interests, however similar or different they may be from yours. And they’ll model the behavior you want them to assume all through adulthood. All kids have their strange quirks. Some quirks might not be typical interests of other kids. It seems normal if your child loves trucks and cars. But what if he can’t get enough of vacuum cleaners or water fountains? Their interests may seem silly, even embarrassing. How do you explain your child’s obsession in, say, tornadoes? But the thing is, if we seem embarrassed or try to put down their interests, then they feel like they can’t turn to us. That they have to hide their hobbies because they seem petty to you. Instead, encourage their passions, both typical and unique. Borrow books about bugs if your daughter has expressed interest in them. Take her to a train museum because you couldn’t peel her away from her train set. And yes, talk about vacuum cleaners, tornadoes and water fountains. No matter how strange they may be. Read about the importance of encouraging children’s interests. Interests aside, children’s personality and temperament can also differ from yours. Extroverted parents don’t understand why their daughter cries at social gatherings. The sports fan of a father doesn’t encourage his son’s interests in piano or science. Our kids aren’t us. They may adopt most of our interests and values, but another part of who they are isn’t nurtured or raised. Instead, accept your kids for who they are. Don’t make your child feel like he can’t live up to your expectations. Like he’s not popular enough, or isn’t as skilled with music as yourself. Nothing isolates a child more than feeling like all he does will never be good enough for you. No family is perfect. We’ll all have days with shut doors and silent dinners. Still, we can do much to strengthen our connection with our kids. By accepting our kids for who they are, we’ll give them a sense of belonging. Convey the message that you love them no matter what. Whether they’re throwing a tantrum or reading a book. Playing rough and tumble when you expected poise and gentleness. Your baby crying all night as you wonder how your friend’s baby sleeps five hours straight. Tell your kids you love them even when they’re throw public tantrums. Even when they make disappointing decisions and mistakes, and through every second of their lives. They don’t need to do anything special to get love, and they’ll never lose it no matter what they do. Just the fact that they’re born already means they’ll get the love they deserve. Accepting your children isn’t a matter of “faking it” or denying your real emotions. We’re human and prone to reacting. You’ll get frustrated when they don’t behave, or feel disappointed when they don’t take to interests you love. Just as you should accept your kids through all emotions—both easy and difficult—so should you be kind to yourself as well. 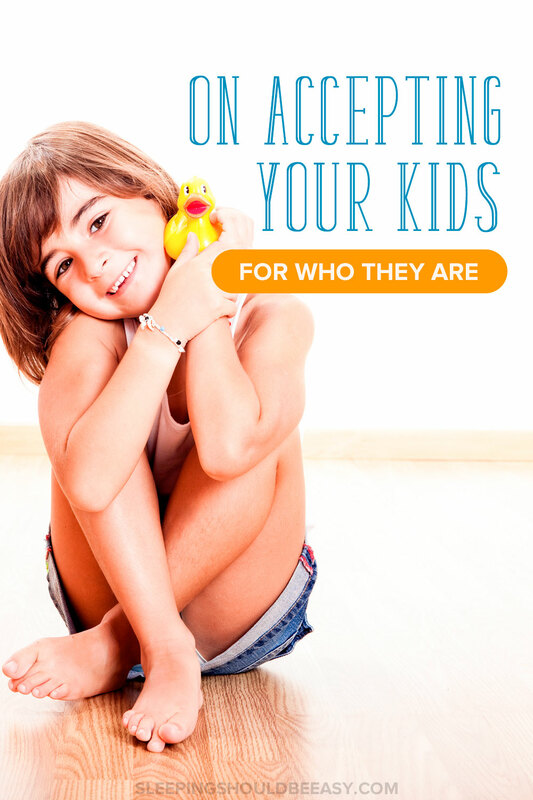 But accepting your child means being present through all facets of her life. You accept your newborn’s constant crying as the season of your life for now. You don’t condone poor behavior, but you also don’t say, “You’re a bad girl.” You don’t refuse to hug her because she hit her little sister. And you don’t pressure her to be social when she’d rather read her book before class. 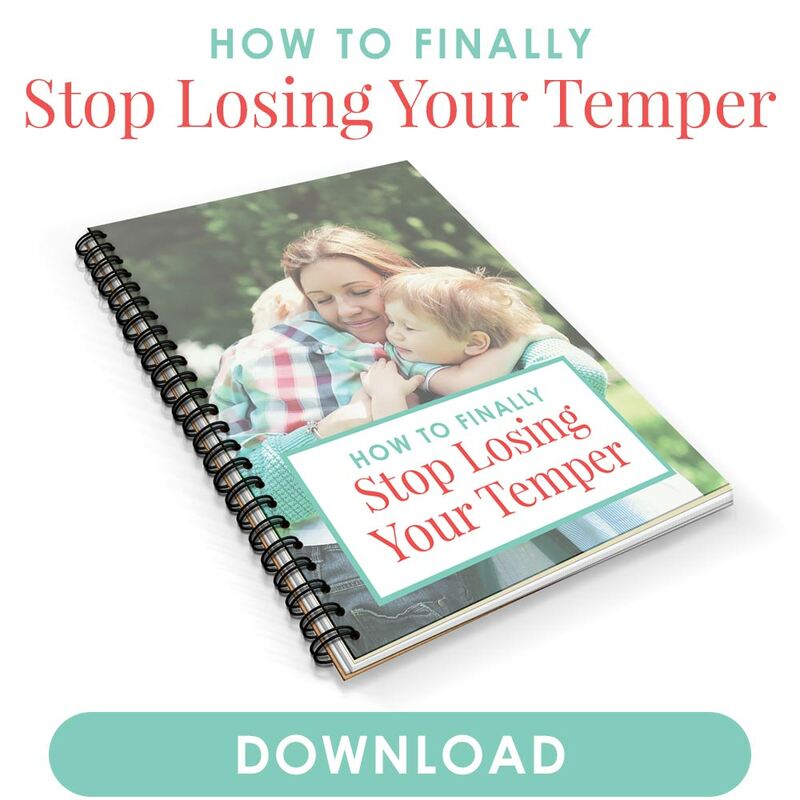 Exhausted and feeling guilty from constantly losing your temper with your child? Even if it seems like you’ve tried just about everything, you CAN stop losing your temper… if you start from the inside out and change from within. Tell me in the comments: What’s one surprising thing about your kids you had a difficult time accepting? Aw what a great thing to say Steph! Isn’t it funny? And when you have more than two. You always swore you wouldn’t be the parent who doesn’t let their child be 100% authentic. It can be hard, just when you see them approach struggles you once had, or if you have dreams for them, and they’re so not interested. Mine are so young but I imagine it gets harder! Oh yeah I can imagine it getting harder—I hadn’t even thought of that! But yes, once they’re more independent, making their own decisions without us… these are the crucial times when we have to accept them for everything that they are. Betsy, I LOVE Susan Cain’s book, Quiet! The book inspired me a lot too, that I wrote a post about shy kids: https://sleepingshouldbeeasy.com/2012/08/01/shy-kids-get-bad-rap/ . I’m pretty much introverted and I think my personality meshes with my kids, but like you said, it’s so helpful for extroverted parents. And generally accepting our kids no matter how different they may be from us. How funny. I mentioned this book to another fellow blogger and she told me it was her absolute favorite non-fiction book. Apparently I’m just behind the times! 🙂 There’s another great one, though, called Why Gender Matters by Dr. Leonard Sax. It’s fascinating. Have you come across it yet? My sister first told me about the book (or actually it was a Ted talk and even an article that started it). I fell in love with it right away. I’ll check out that book right now! Hi Nina, first I must say I love your wisdom, second I am actually Nana his Grandma . I have a hard time with Jamesons tantrums, he will be 2 in May. I have been given a second chance at being a part of this beam of light, his Daddy is incarcerated for drug charges , AND the whole thing is well a bit of a mess. I want to give him uncondional love and I do, but it is heart breaking when he is having a tantrum and I feel there is nothing I can do. Thanks so much for your kind words, Mindy! Tantrums are definitely a hard one to handle, trust me I know! But I can imagine how much more difficult it is with problems at home. It does sound like you’re showing unconditional love. Tantrums aren’t supposed to be easy on anyone, even us. So even though we’re supposed to be calm and in the moment, that doesn’t mean we shouldn’t feel the emotions we do. Acknowledge that you feel upset, but that you have a game plan and need to be there for him. I’ve found that the best things to do during tantrums is to simply reassure them that we’re here, that we love them no matter what, that they can crumble in our arms. The discipline, consequences and lessons can all come later, when they’re much calmer. For now, it’s all about showing them that they’re safe.